I help people who have developed pain in their muscles through soft tissue therapy, whether through postural related problems or a sports or occupational injuries, working at clinics in Shrewsbury and the surrounding area. I’ve always been interested in health and fitness and how the body works, but my interest grew as a result of my own experience with a back problem. At the age of 16 I was diagnosed with Scoliosis – a lateral deviation of the spine – but I found that orthopaedic specialists couldn’t give me the clear answers I needed as to why I had developed it in the first place. I decided to do my own research, which led me to the best relief for my pain and discomfort – remedial massage and soft tissue therapy – and while my problems continue, this treatment is still the best thing for my symptoms. Over the years I have learned more about how remedial massage and soft tissue therapy can help with all kinds of musculoskeletal problems, and this led me to train as a massage therapist myself, gaining a Level 5 BTEC Professional Diploma in Clinical Sport and Remedial Massage Therapy with The London School of Sports Massage..
I’m also a fully qualified personal trainer and sports therapist, I specialise in remedial exercise and strength training. I believe it’s important to be easy to talk to and to be a good listener – my background in social care helps here. If you come to me for treatment we’ll start by taking a history of your symptoms to get to the bottom of your problem. This initial consultation usually lasts 90 minutes so I can take the time to get to know both you and your injury. Then we’ll set out a treatment programme for you, along with goals for improvement. 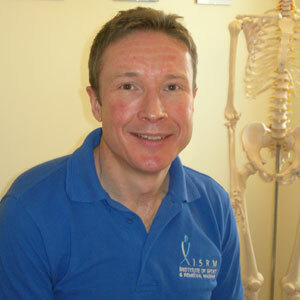 I use a variety of deep tissue massage and advanced soft tissue methods, neuro muscular massage techniques (NMT), muscle energy techniques (MET) soft tissue release (STR) positional release technique (PRT) myofascial techniques, instrument assisted soft tissue mobilisation (IASTM) and kinesiology taping to relieve your symptoms. Remedial massage helped me overcome a painful condition – and still does – and it can help you, too. Contact me to find out how I can help. “Having seen and received treatment from several professionals in the past, I can say with both experience and confidence that this was by far the most beneficial treatment I have received.” John Roscoe, Shrewsbury.